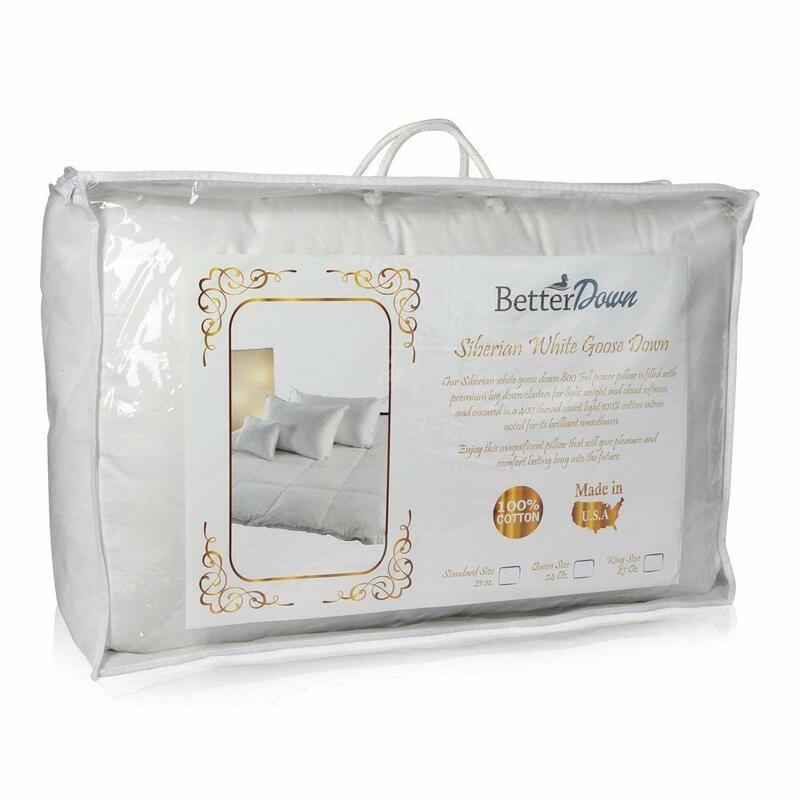 Hypoallergenic 800 Fill Power European White Goose Down. 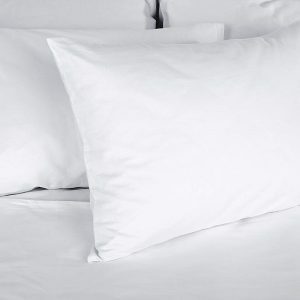 Material: smooth 450 thread count 100% Cotton. Filled with 100% White Goose Down. Each luxury pillow is filled with hypoallergenic 800 fill power all 100% filled with premium European White Goose Down, so rare that we are constantly searching the world for the best. 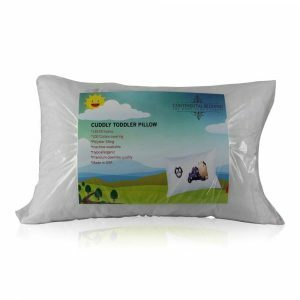 Pillow is manufactured in the USA using only the finest imported materials which is important in a pillow to maintain support for many years. 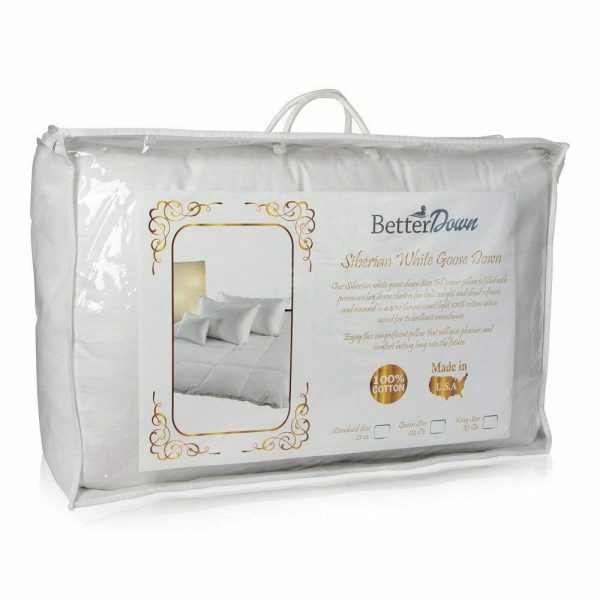 Made with luxurious 400 thread count 100-percent combed cotton fabric. Each pillow comes packaged in a high-class zippered vinyl case. Available in three different sizes to better suit your needs: Standard, Queen, and King. 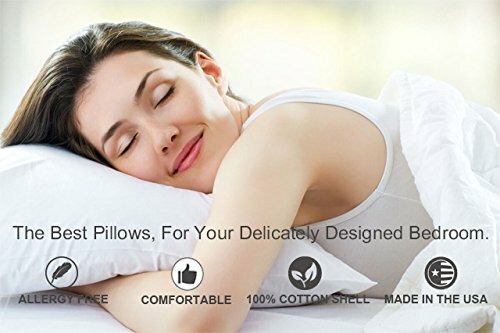 Next PostNext Continental Bedding Damask High Quality Set of 2 100% Cotton Zippered Pillow Protectors 300 Tc.